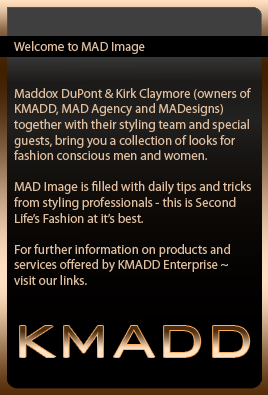 MAD Agency is a boutique model management company that provides top models & style services to photographers, advertisers, designers and production companies in Second Life. Our focus has always been on quality over quantity therefore we are very selective about projects we choose to produce and people we employ. As a broad-based agency, our objective is to provide a one-stop shop for clients seeking models. This is achieved through the breadth of the model base whilst the depth of skill ensures that there is no compromise in addressing the special needs of each individual client. Our strategy is simple…carefully selected, qualified models coupled with the superior level of management and service. The result is MAD Agency’s expertise and prestige in the modeling industry. Our mission is to maintain outstanding commitment to professionalism in every aspect of our business and most of all, the discovery and development of the best models in Second Life®. Our shows feature extravagant, elaborate and immersive fashion sets that are perfectly matched to eclectic music scores that compliment the gorgeous models, designer’s clothing, choreography and ambiance. For show inquiries please contact Jax Aster, MAD Agency Director.